Sorry it's been so quiet here this week, but I'm taking a few days and camping with family and friends. I'll be back online late Sunday night. I finally unplugged my TiVo Series 2, and I'm going to cancel the service and not upgrade to a TiVo HD. I briefly considered it, but Comcast OnDemand now offers HBO and Showtime in HD, and with Netflix, Roku Player, Xbox 360, and Hulu, why do I need to pay for TiVo service and another box? Almost every show is available online, without another monthly fee. If I didn't have a Roku Player or Xbox 360, I might have considered a TiVo HD for Netflix. Do you still use TiVo? Are You Celebrating Star Wars Day? Apparently today was Star Wars Day, so if you don't own every single Star Wars movie you can rent what you don't own from Netflix (Ewok Adventures?). George Lucas also directed some other interesting movies, including American Graffiti and THX 1138. 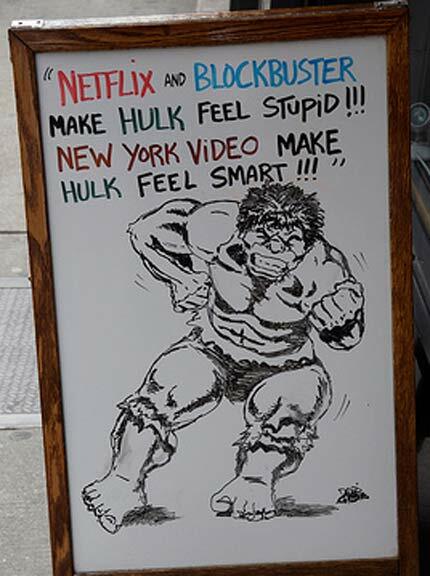 If you're into the "other" series, you can rent Star Trek movies or TV shows in protest. If you're really patient, you can "save" a copy of the new Star Trek movie in your queue. 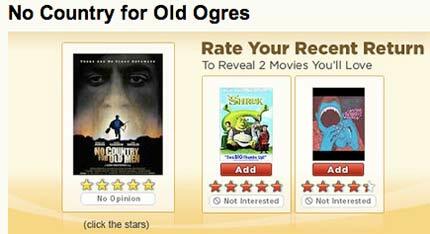 Sun Researcher Paul Lamere collects unusual recommendations from Netflix, Amazon, Last.fm, and other companies. Have you had a "freakomentation" from Netflix? Image courtesy Cory Schwartz Photography. I'm a huge fan of movies and typography, so I was happy to see that AlwaysWatching has put together a collection of movie scenes that were recreated using only type and the original soundtrack. The following example is from Ocean's Eleven, but they also have scenes from Pulp Fiction, Kill Bill, The Office, and more. 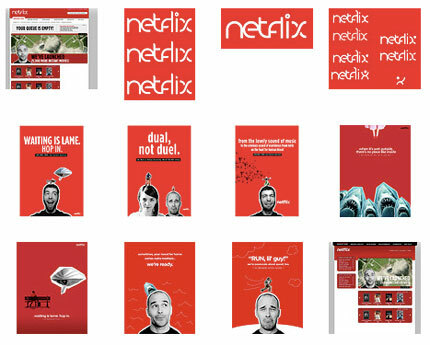 Flickr user OhJustinBear is apparently an art student and created a mockup of the Netflix website, logo treatments, and even a few interesting posters.